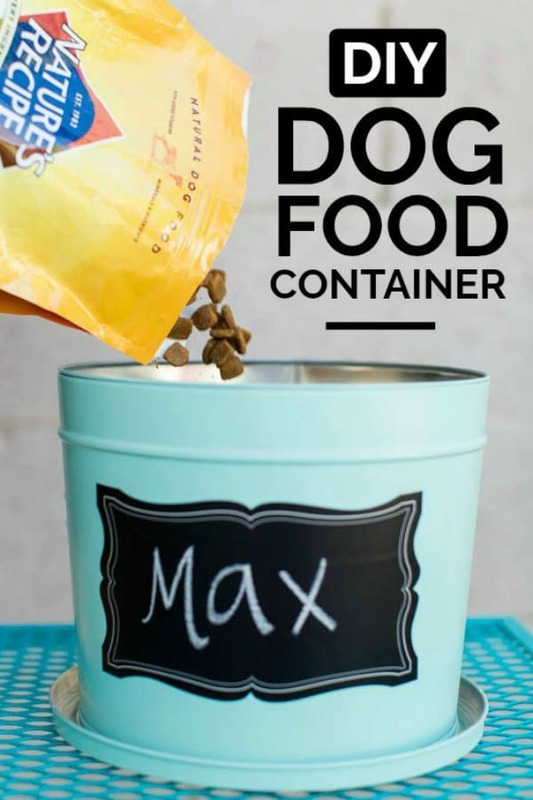 This darling DIY dog food container is the perfect easy storage solution! 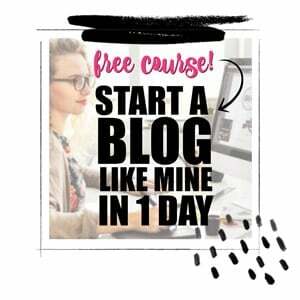 This is a sponsored post written by me on behalf of on behalf of the J.M. Smucker Company for IZEA. All opinions are 100% mine. If you’ve been around Spaceships and Laser Beams very long, you might have met my sister’s dog Max. Recently, Max had some big changes in his life: my precious, brand new little niece joined the household! Up to this point, Max has been the “baby” … and he may have been just a teeny bit spoiled. Thankfully, my sister and brother in law worked hard to make him feel extra special and included as Mary Grace joined the family. I know everyone is rejoicing with the smooth transition. Whenever given the opportunity, my boys enjoy loving on Max as well. Since it’s pet month, now is the perfect time to shower Max with some extra loving. 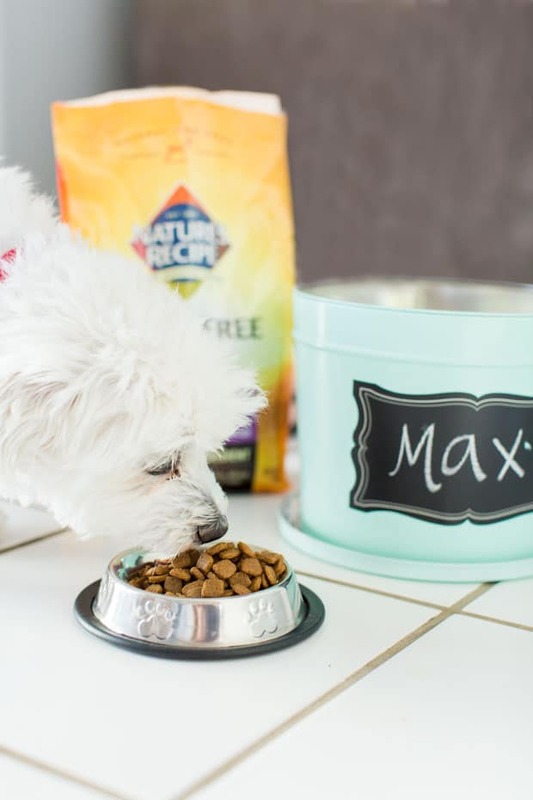 When I decided to create this cute DIY dog food container for Max’s dry food, I knew they would be ready and willing helpers — and I was right! Not only did I have great helpers, Max was thrilled to sample some of his favorite dog food with their assistance. Nature’s Recipe has been providing pets with great nutrition for years — their recipes make every ingredient count, making sure that your pet gets all the nutrition they need to enjoy the most out of life. Their grain free products are made with real meats, no corn, wheat or soy protein and are easy to digest. 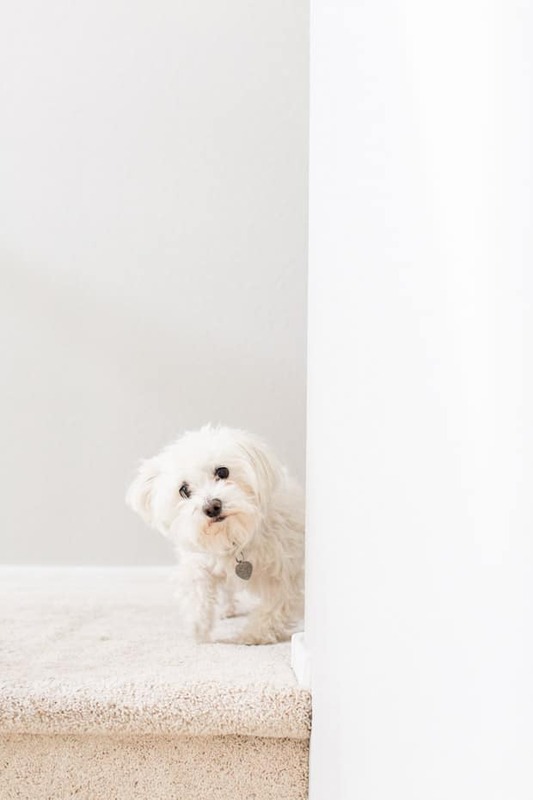 They add the best vitamins, minerals and nutrients to support your dog’s overall health and don’t add any artificial flavors or preservatives. Their quality meals fuel those happy tail wags that indicate joy in your dog! 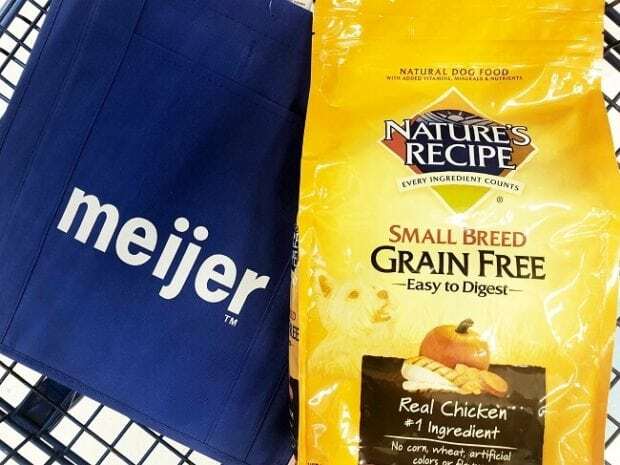 Nature’s Recipe is available at Meijer — making it an even more convenient choice for your family. Grab it the next time you’re grocery shopping! 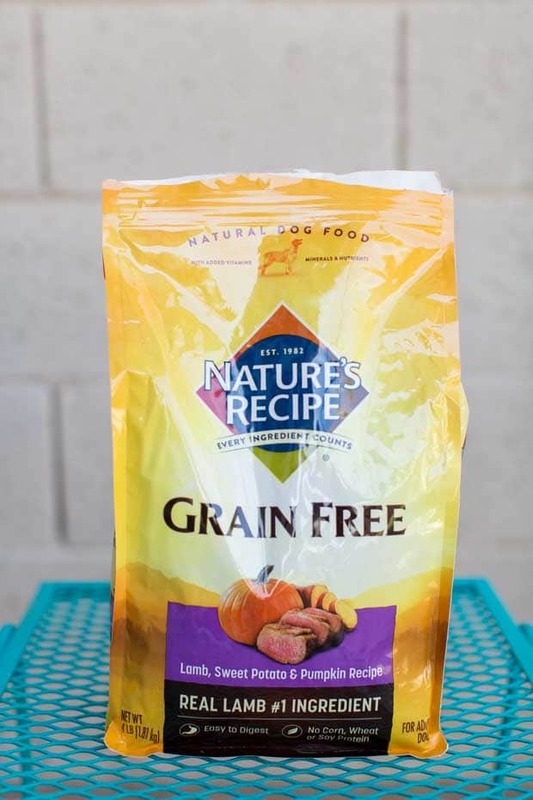 You can get 15% off any Nature’s Recipe dog food from 5/6 – 6/2 with mPerks. 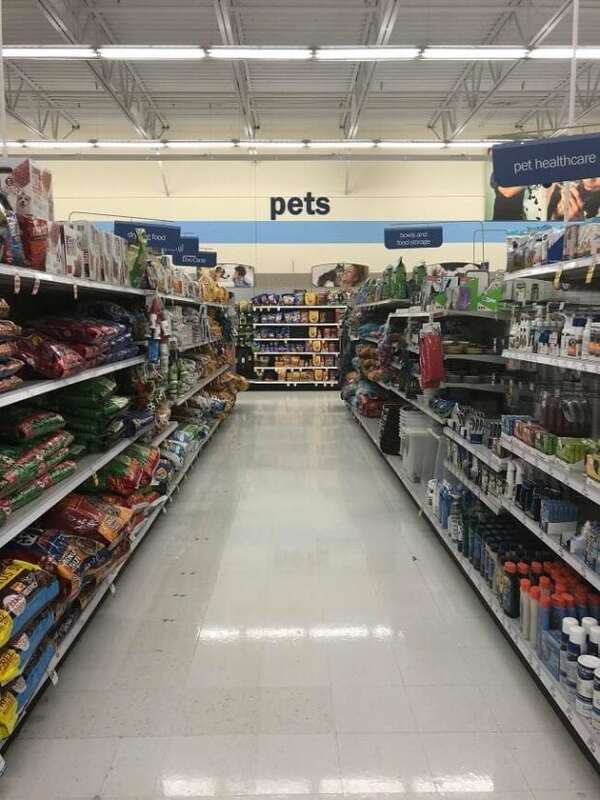 Many stores have recently renovated their pet section, so be sure to check out those updates as well. 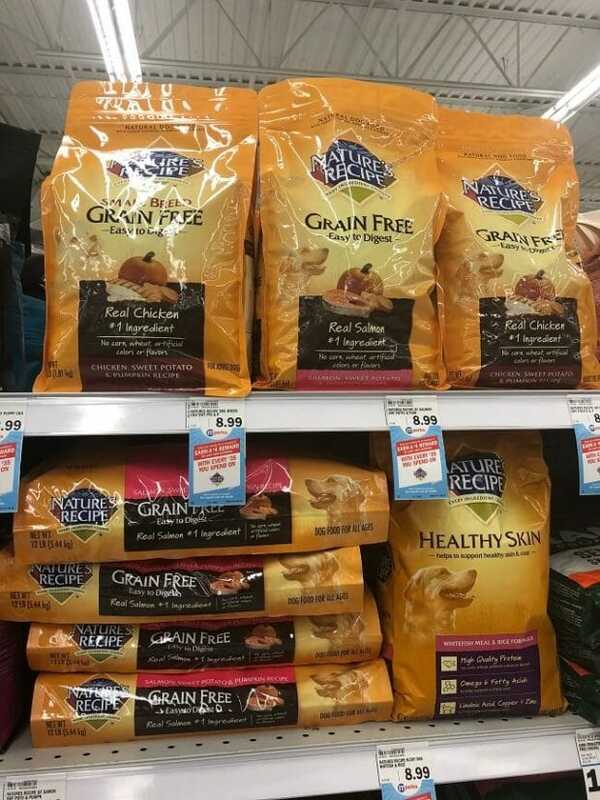 There is a large assortment of Nature’s Recipe dog food available to choose from. 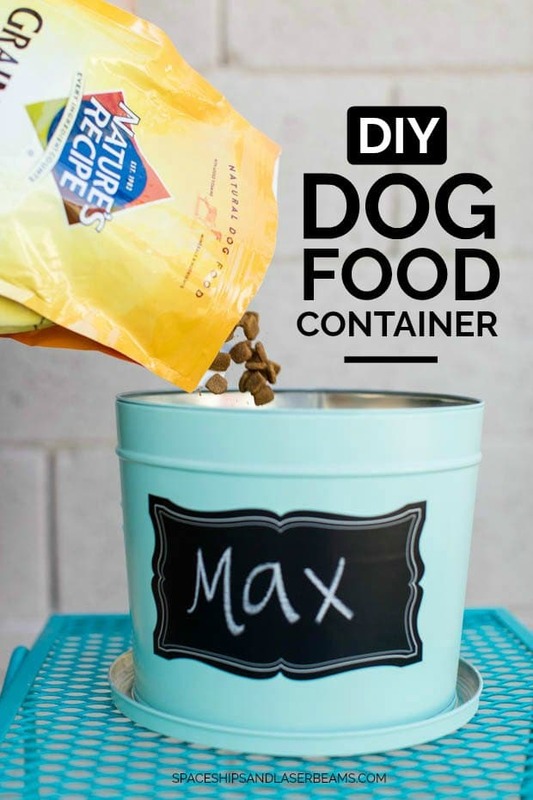 Now, let’s talk about this cute container idea to put your Nature’s Recipe dog food into! If you’re like me, having pretty things around you is important. A lovely environment makes me more content and productive. I also like having things organized — that’s why this dog food storage idea is so perfect! 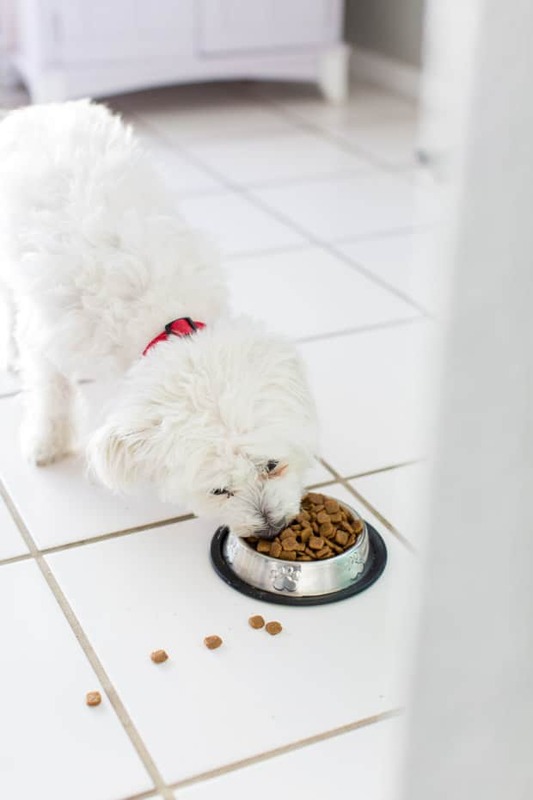 Obviously if you have a pet in your home, you’ll need to store their dry food somewhere. You might as well make it decorative and pleasing to the eyes! This project is simple. 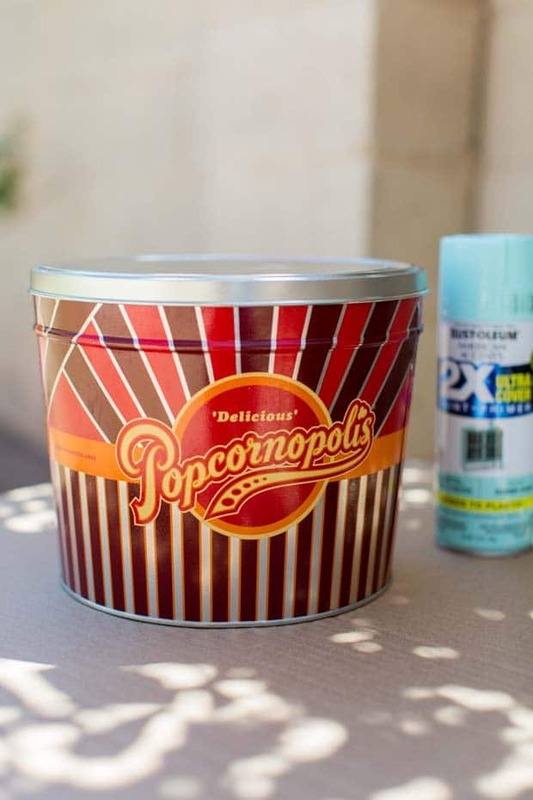 You’ll only need three things: an empty popcorn tin, spray paint and large chalkboard stickers. If you have a metal tin leftover from the holidays, perfect! If not, you can head to a dollar store or thrift store like I did to pick one out. Pick the color of spray paint you’d like — any color that matches your decor will be great. Originally, I was going to use painter’s tape and chalkboard paint. Let’s talk about disaster for a second. It was not my most brilliant plan. When I removed the painter’s tape, the chalkboard paint had bled through. Back to the drawing board. My second plan worked much better: large chalkboard sticker labels from the craft store. Peel and stick… voila. Genius! Once you find the container you want to use, make sure to thoroughly clean and dry it. You’ll want to lay out cardboard or a paint tarp before painting. Remove the lid and place the canister upside down on the protected surface. Hold the spray paint about 8-10 inches from the tin and evenly coat the tin in paint. Make sure you allow the proper dry time designated on the paint can in between layers. Apply a second coat of paint once the first coat has dried completely. Once the paint has completely dried, you can apply the chalkboard sticker to the front of the tin. Finally, fill your dog food container with Nature’s Recipe dog food! My son Rowen was happy to help Max get some of his favorite food. He eagerly scooped the food into the bowl — and Max was oh-so-happy about it! 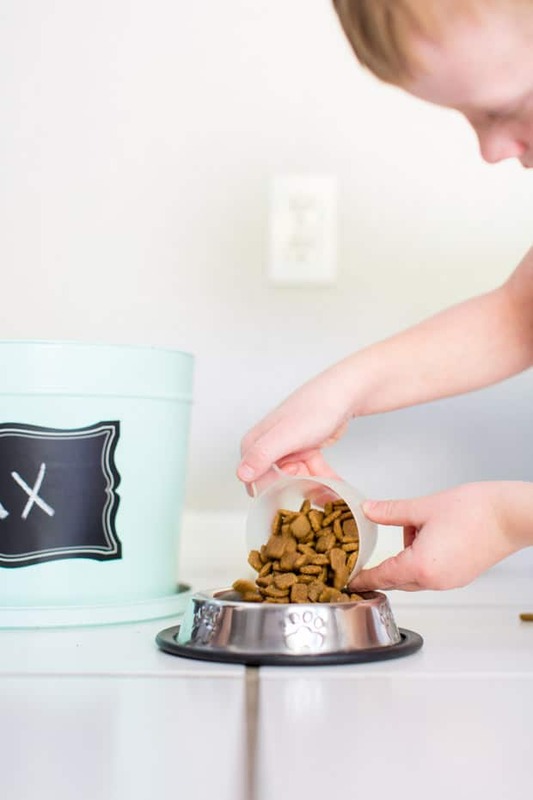 Get happy tail wags in your home by creating this cute DIY dog food container and filling it with the very best — Nature’s Recipe — for your furry family member! 1. Thoroughly clean and dry the popcorn tin. 2. Lay out cardboard, or paint tarp, and remove the lid and place the canister upside down. 3. Hold the spray paint about 8-10 inches from the tin to evenly coat the tin in paint. 4. Allow to dry for time designated on the paint can. 5. Apply a second coat or paint once the first coat dries. 6. 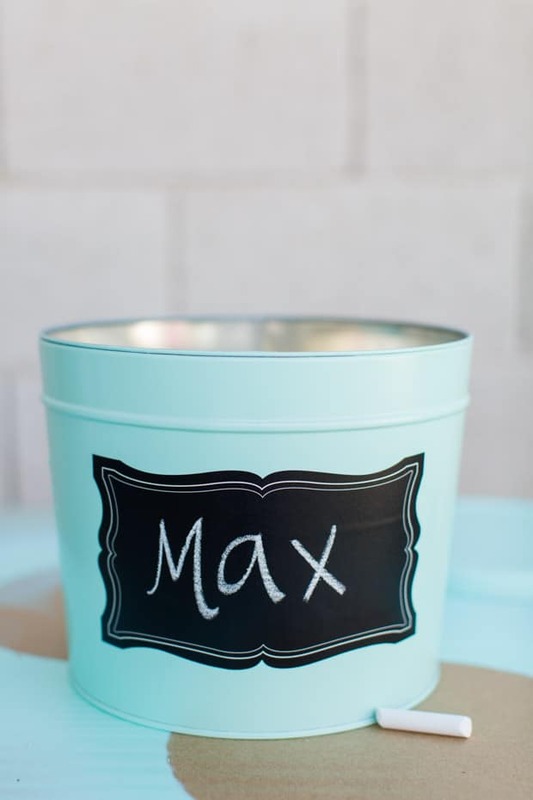 Once the paint has completely dried, apply the chalkboard sticker to the front of the tin. 7. Fill with Nature’s Recipe dog food!